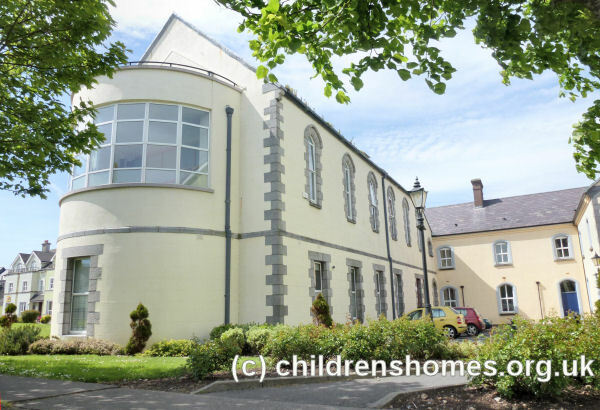 In 1870, a public meeting at Galway Town Hall approved a proposal to establish an Industrial School in the city. 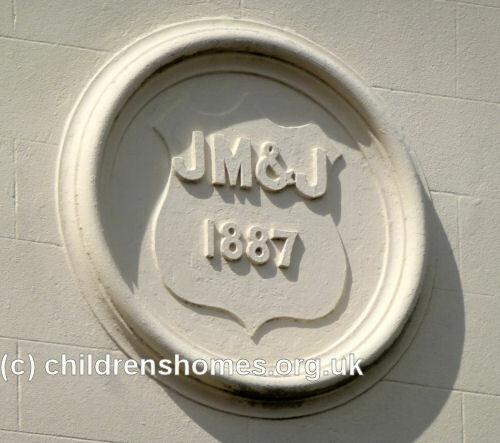 Its aim was to take in 'neglected, orphaned, and abandoned Roman Catholic boys, in order to safeguard them from developing criminal tendencies and to prepare them for the world of industry'. A committee was appointed to pursue the project and in June of the following year, premises at Salthill were leased from Miss Grattan. After being adapted for the accommodation of 50 boys, the establishment was formally certified to begin operation on 16 September 1871. Nine days later, twenty-one poor boys were admitted to the School, most of them in 'the lowest state of destitution and misery'. Initially, the School was managed by members of the Brothers of St Patrick (otherwise known as the Patrician Brothers). An inspection of the School in 1872 recorded that the average number of boys under detention during the previous year had been 32, with a single voluntary inmate. The staff, which comprised three Brothers, one of whom also had other duties to perform, was described by the inspector as 'quite insufficient'. Some boys had been taught carpentry, shoemaking, and tailoring, and during 1872 two small printing presses were purchased and four boys taught the trade. They printed for local shops, and had also published a report on the School, demonstrating a considerable aptitude for the work. Due to some legal complication, the nineteen acres of land forming part of the premises had not yet come into the institution's possession. It was intended that the land, which was a swamp reclaimed form the sea, would become a market garden worked by the boys. In November 1873, management of the School was taken over by a lay staff consisting of a director (the Rev. P. Kiernan), assisted by a superintendent, two teachers, a band-master, tailor, shoemaker, carpenter, printer, gardener and farm assistant. The School's brass band gave weekly performances during the summer months on the beach adjoining the School. In December 1873, construction began of a new wing measuring 120 feet by 26 feet. The following year, the dormitory which ran the entire length of the building was occupied but a lack of funds delayed completion of the ground floor. 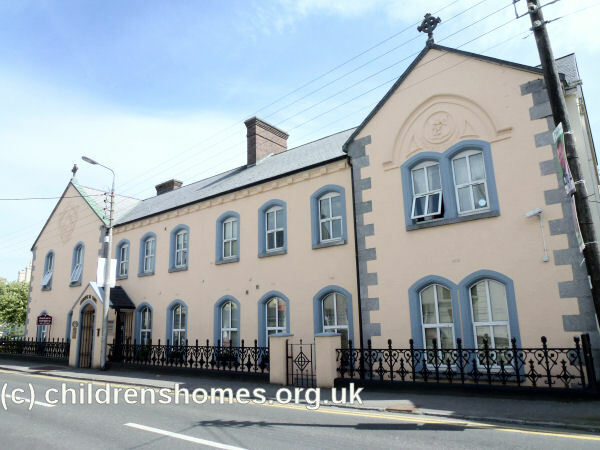 In 1876, continuing concerns about the state of the School's premises and operation led its committee to enter into an agreement to hand over management of the establishment to the Christian Brothers, who ran the Artane Industrial School. An inspection report in 1877 recorded that the new managers were occupied in remodelling the institution and that a large sum had been laid out on buildings Some adjoining premises had been obtained and workshops erected. The nineteen acres of land attached to the school was gradually getting into good tilth. The average number of inmates under detention in 1877 was 99. The staff now comprised the manager (the Rev. A.B. Kerins) assisted by four Christian Brothers, a bandmaster, three foremen of trades, and a farm superintendent. Extensions to the buildings in 1882 included a chapel, refectory, school room, kitchen and pantry. Of the £647 expenditure involved, the sum of £400 was raised in the summer at a bazaar. A local magistrate, Mr T. Persse, had set up a fund to purchase an organ for the chapel. Industrial training now included cartmaking, carpentry, smith's work, baking, tailoring and shoemaking, with the workshops being well patronized by the public. However, that year's inspection criticised the large number of boys who were being occupied in the knitting of stockings rather than employments such as harness-making, weaving and tin-working, which were more likely to be of use to them in future life. By 1887, following further additions to the buildings, the capacity of the School had been increased to 200 places. The School site is shown on the 1913 map below. St Joseph's / Salthill Industrial School site, Galway, c.1913. A report on the School in 1911 recorded 195 inmates plus 4 out on licence. The staff at that date comprised the manager, Rev. Brother T.G. Stephens, assisted by nine Christian Brothers, 3 assistant teachers, night watchman, manual instructor, tailor, shoemaker, carpenter, cartwright, baker, blacksmith, painter and laundress. New workshops had been constructed and new lavatories and closets were nearing completion. Industrial training now included drawing and manual instruction. Seventy-nine boys received manual instruction, 24 tailoring, 18 shoemaking, 13 carpentry, 11 cartwrights, 7 baking, 4 blacksmiths, 1 painting, 6 wire mattress weaving, and 20 agriculturists. Out of 34 boys discharged during the year, 31 were sent to skilled or progressive occupations. The boys also had daily physical drill. Renovations and redecoration of the premises took place in the 1940s as they had fallen into disrepair. 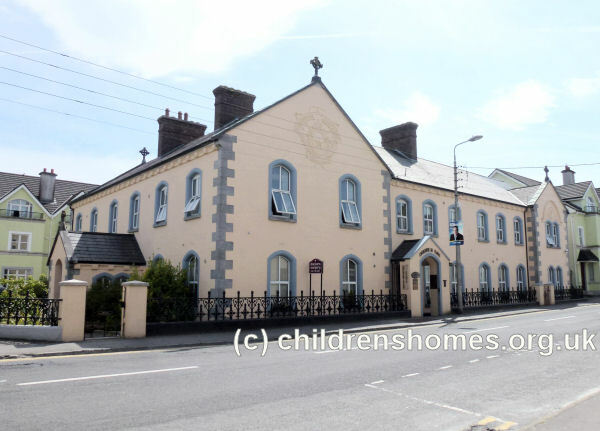 In 1943, Salthill was recognised by the Department of Education as a primary school which continued in existence until the early 1970s, when the remaining boys were transferred to the local primary school. The institution underwent major changes in the early 1970s following the Kennedy Report into Ireland's system of Industrial Schools and Reformatories. In 1973, a new manager was appointed and he worked with the Department of Education in bringing about changes that established a new 'group home' structure. The transformation of St Joseph's was completed in accordance with plans that were drawn up in 1987. Most of the land on which the School was located was sold for development and the money was used to build a new complex planned on modern childcare principles. 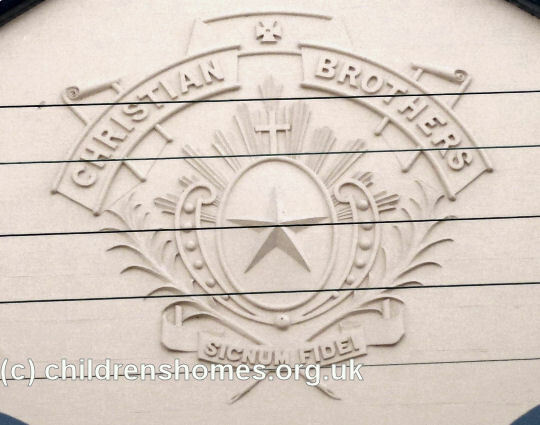 The Brothers ceased to have an association with St Joseph's in 1995. The establishment then consisted of two units, each catering for six young people with a staffing ratio of 1:1 and operated by the Health Service Executive. Visitation Reports described Salthill in the early years as dirty, cold and unhealthy. The boys' refectory was shabby, the buildings dilapidated, the dormitories unsuitable, the pantry damp and with cobwebs and the boys' kitchen outdated. Improvements were made over the years but many of these problems persisted. Washing facilities were grossly inadequate for most of the time. The boys' clothes were severely criticised. Their bedclothes were dirty and insufficient. There was little recreation for the boys and an absence of enthusiasm or capacity on the part of the Brothers to arrange for pastimes or amusements for them. Training was substandard and very restricted, and the workshops were unhealthy and actually dangerous for a time. The education provided was substandard. In the late 1950s and early 1960s, management knew that there was a teacher in the School who could not write legibly on a blackboard and who was responsible for the whole primary school being retarded by a full year. Although this man was only identified in 1958 by a Visitor, he had been on the staff of the School for nearly 20 years at this time. Two Visitors in the late 1960s and early 1970s, identified the inadequacies of the care given to the children. They were able to understand the needs of children and the failure of this Institution to meet these needs. When change came, it came slowly and laboriously, and an improvement in one area was often not accompanied by betterment in others. 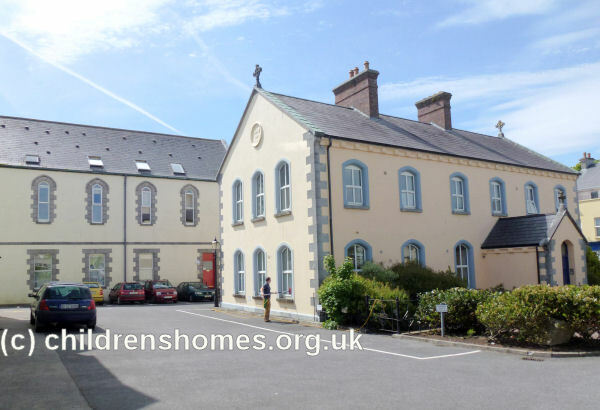 In regard to physical abuse, documents contained a record of general complaints about violent behaviour by Brothers at Salthill and also at the Letterfrack Industrial School which the Order managed. Concerns were raised about three Brothers in regard to sexual abuse while they were in Salthill. In none of the cases was the abuse addressed other than as a practical problem for the Congregation. In the case of one Brother, there is documentary evidence of serious abuse of young boys continuing for over 20 years after his transfer from Salthill.